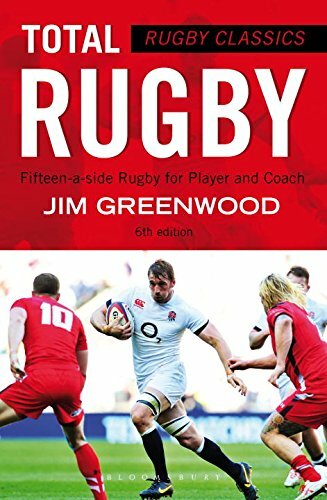 Sir Clive Woodward, Rugby World Cup-Winning England Head Coach says: It’s still the only rugby coaching book I regularly refer to . . . In my opinion, this book is unrivalled–it sets out to give detailed solutions to coaching problems. Rugby Classics: Total Rugby: Fifteen-a-side Rugby for Player and Coach. Thousands of players and coaches from around the world have benefited from the concepts and methods in these books, providing them with the coaching skills and strategy to play the very best in fifteen-a-side rugby. Where else but Amazon.com could you find the best books related to Rugby? Here is the book rated highest for it’s content on how to play and coach the rugged game of rugby. If you are looking for the leading Rugby book for players and coaches click on the links to the right to get yoru copy today from Amazon.com.